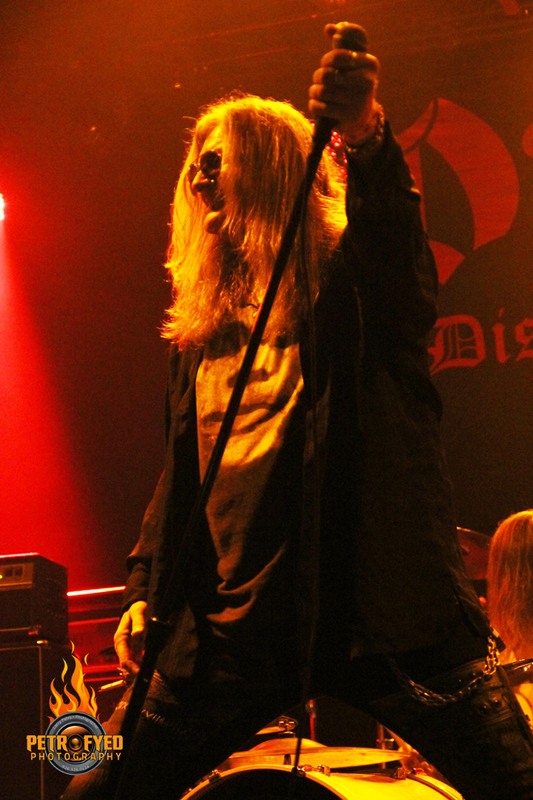 KNAC.COM - Reviews - DIO DISCIPLES In Houston, TX With Photos! 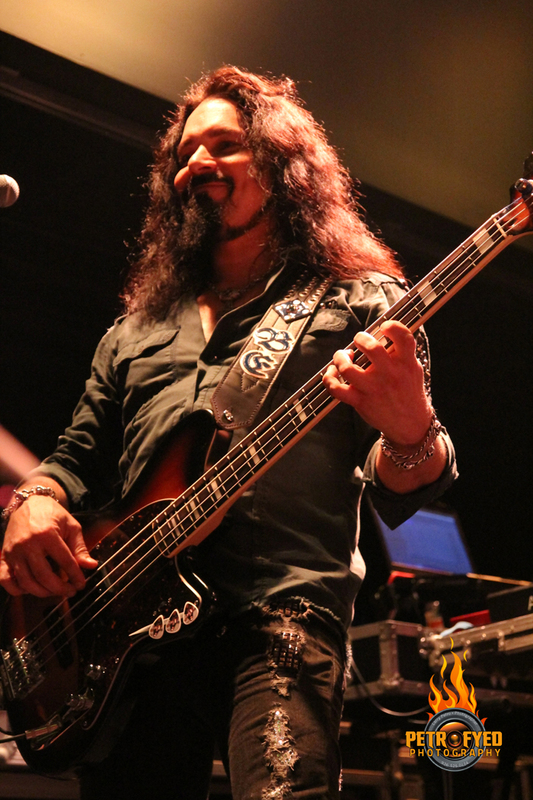 DIO DISCIPLES In Houston, TX With Photos! 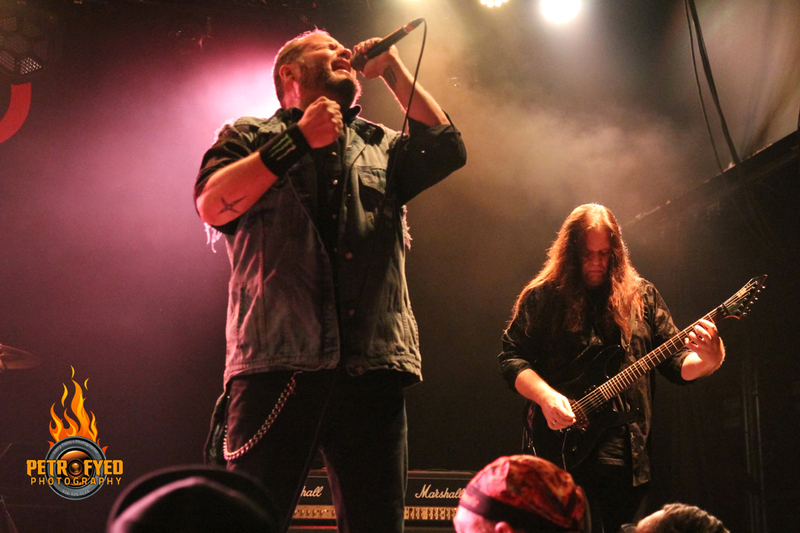 It seems like more often than not, when I attend a concert with the intent of reviewing it for KNAC.COM, there is some little storythat manages to get included. 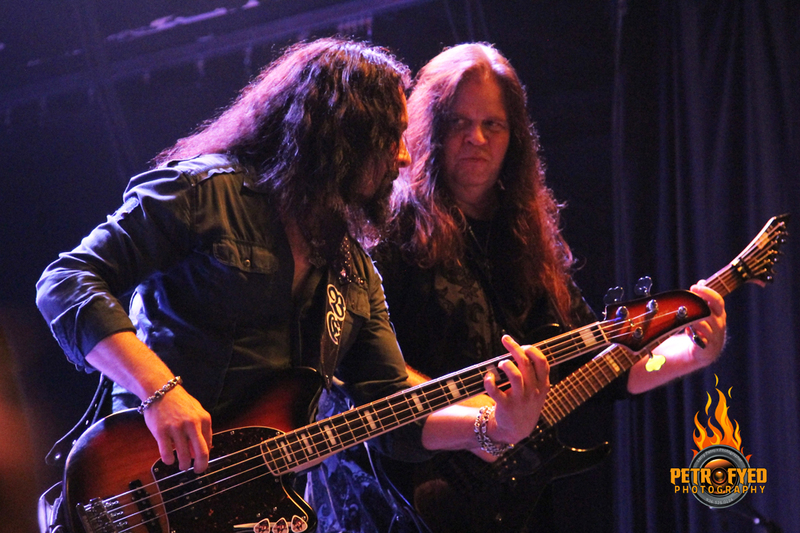 The DIO DISCIPLES show in Houston, Texas on June 22nd was no exception. Rather than make the trip back home after work and then leaving for the show from there I decided to just head straight there from work, there by saving myself 45 minutes worth of extra driving, not to mention the gas I would have used. Arriving at the venue just before 6pm I ran into a buddy of mine who happens to also be a photographer and after realizing that the venue doors didn't open until 7 and the will call did not yet have the guest list we decided to go and grab a bite to eat. We headed about a mile up the road across the freeway to where there was a string of fast food places and pulled into Whataburger (it's a Texas thing y'all). 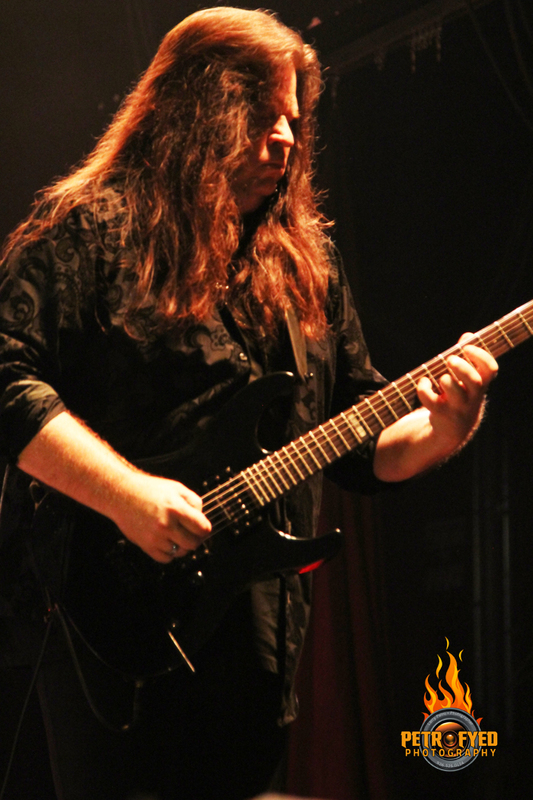 We ordered our food and sat at the booth that happened to be closest to the ordering counter when DIO DISCIPLES drummer Simon Wright walked in accompanied by Tour Manager Demetrius Bermudez, whom I have know for a few years now. He happened to be talking on the phone at the time but still managed to acknowledge me with a handshake all while still carrying on his conversation. Of course my friend had no idea who Simon was until I started listing all the bands he's played in and when I got to AC/DC the lightbulb went off and suddenly he was in fanboy mode! In true humble fashion, both he and Deme came over to chat with us for a few minutes while they waited for their order and after they left my friend continued to gush over the fact that he had just met such a legendary drummer. There were 3 opening acts for this show, all local Houston groups including 2 of my absolute favorites. 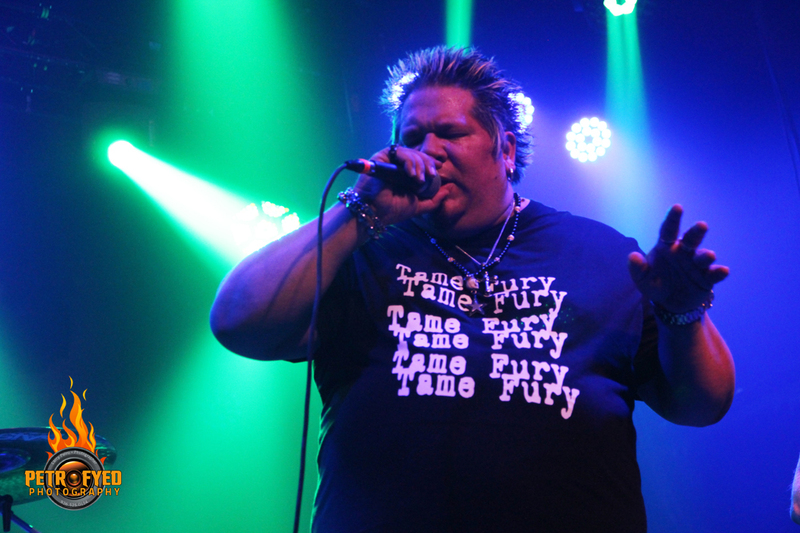 First up was one of those, TAME FURY, led by vocalist Michael McVey. 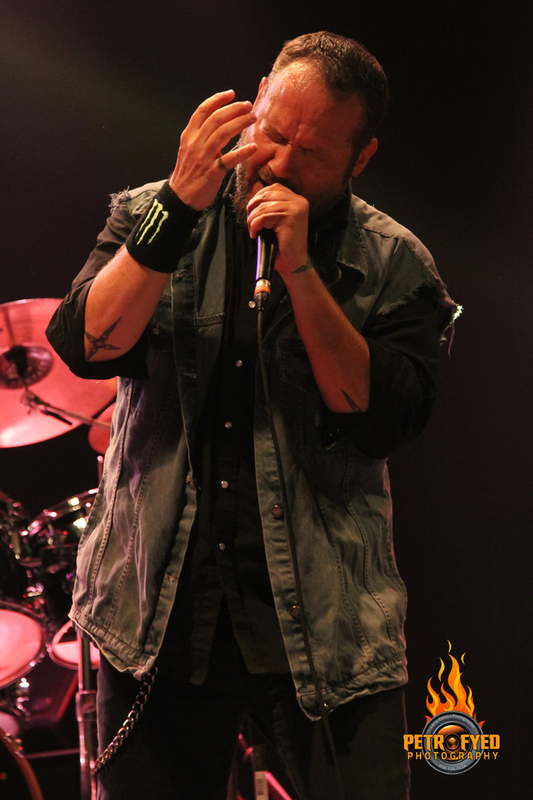 The band is currently finishing up (or have already finished) their new album and with a revamped lineup that now consists of 5 members, they got the fever started with a fiery set of original material from the first album like "Leave It All Behind" and "Hell No", along with new tracks "When Hate Buries Love", "Masquerade", "Brainwashed" and the new album's title track "Gift Of Life". 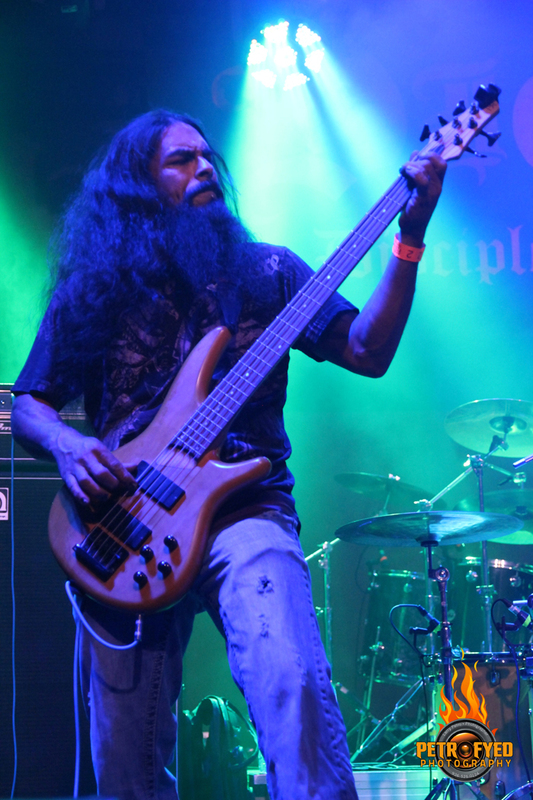 Guitarists Mark Bankston and new addition Brandon Williams (son of TAME FURY drummer Phred Williams were solid compliments to each other while new bassist Erick Villareal and skinsman Phred Williams held down the backbone. It was a great start to the evening and although the new album's release date has not yet been confirmed, it is definitely one that is looked forward to with anticipation. Next up was RED IRIS and I have to say that this band was definitely the odd man out in this lineup. While the female-fronted outfit played a very nice, energetic set, they're style of rock didn't mesh at all with the other hard rock/metal acts on the bill and because of this, through no fault of their own, it was just a bit underwhelming. The third and final opener for the evening was the other of my favorites from Houston, LOVE N WAR. These guys, vocalist Jeff Vandenberghe, drummer Donny Bragg, bassist Ray Soliz and guitarist extraordinaire John Adams. LOVE N WAR are also putting the finishing touches on their new album and with any luck we'll have it in our hot little hands before the end of the year. 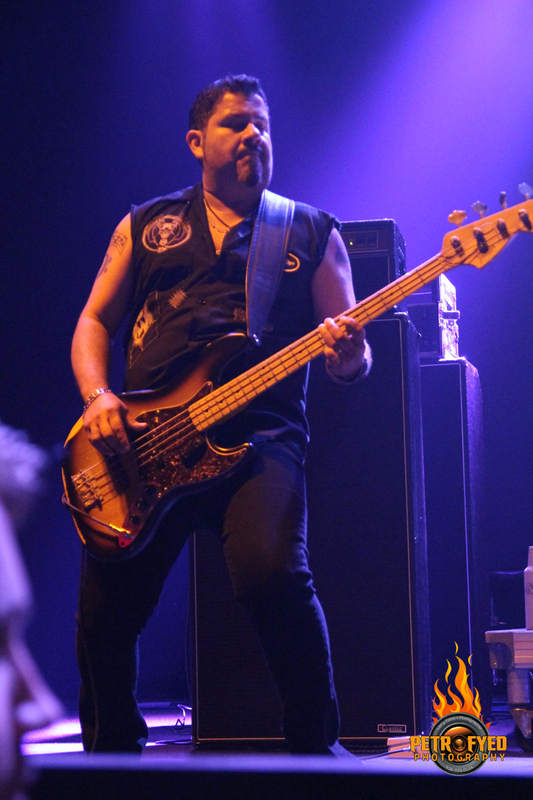 The guys always put on a heavy rock performance and did so once again, opening with their namesake song "Love And War" and rolling through a set replete with heavy rock tunes such as "Psycho Ride", "Meltdown" and crowd favorite "Six Feet Under". 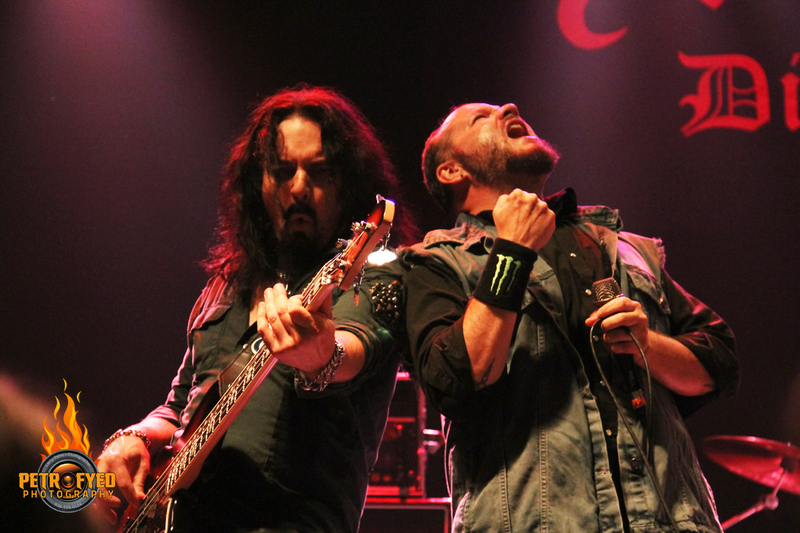 The overwhelming majority of the band's set though centered around the new album that they've been working on in the form of the title track "Edge Of The World", "Mercenary Man", "Final Destination" and the absolute barnburner of a song, "We All Fall Down", before closing things out with the JUDAS PRIEST cover, "Delivering The Goods". Guitarist Adams is such a pleasure to not only watch every time he straps on a guitar but he's also one of my favorite subjects to photograph as he loves to ham it up. 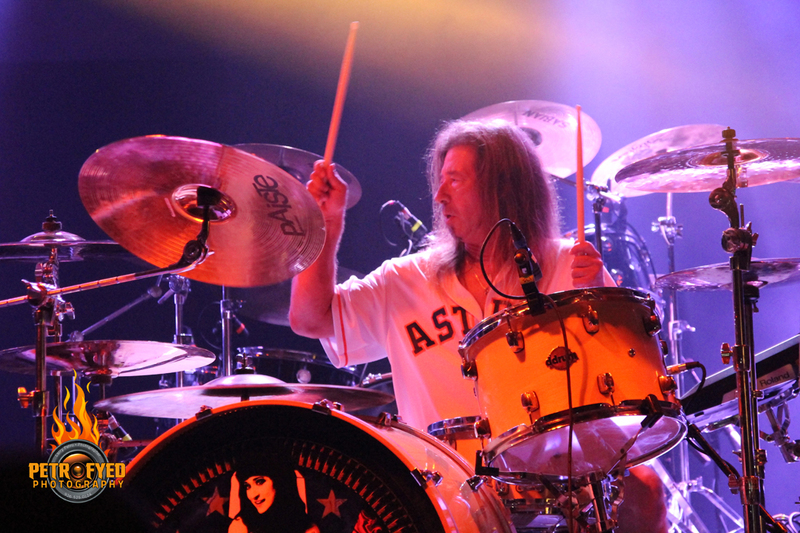 Their new album is another highly anticipated release for the Houston rockers. 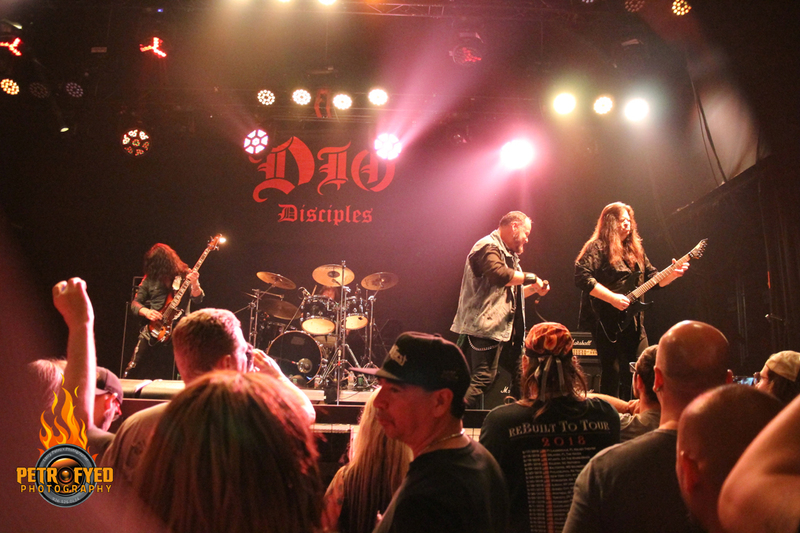 Finally it was time for DIO DISCIPLES to rock the house. 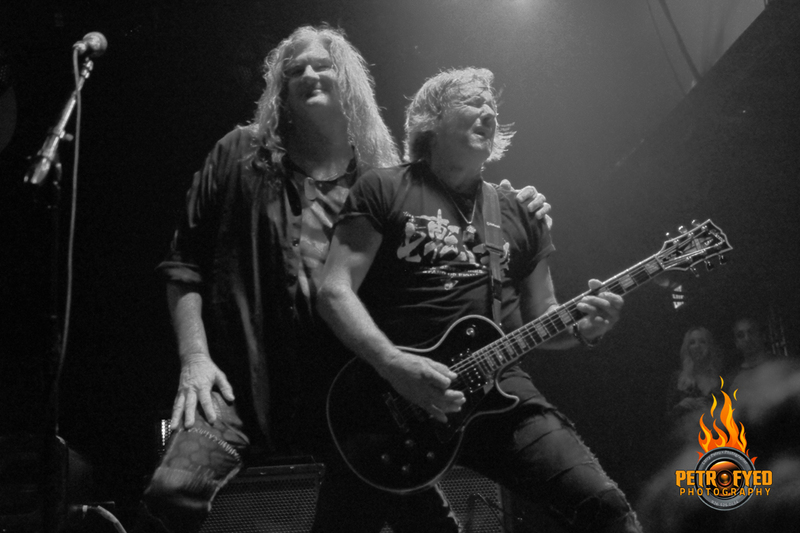 The band played Houston a little over 4 years ago and at that time they were sporting two vocalists, Mark Boals and Oni Logan. 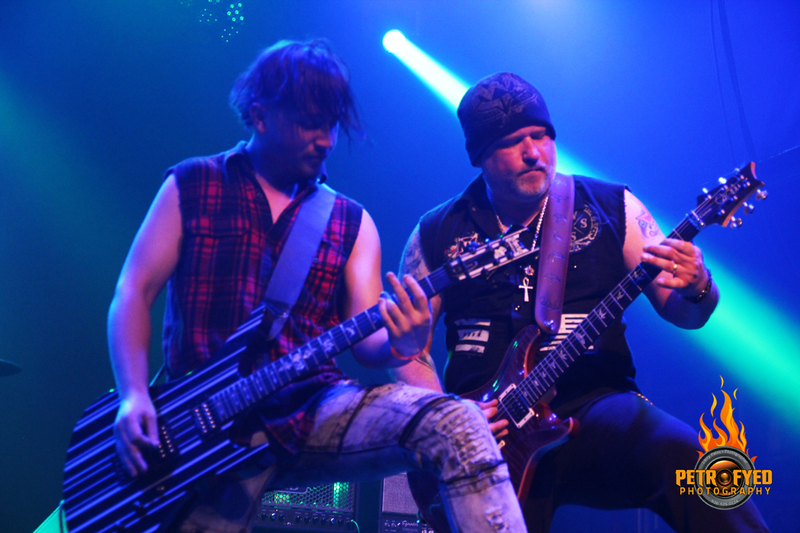 This time around the band, guitarist Craig Goldy, bassist Bjorn Englen, keyboardist Scott Warren and drummer Simon Wright had former JUDAS PRIEST/ICED EARTH frontman Tim "Ripper" Owens in tow. 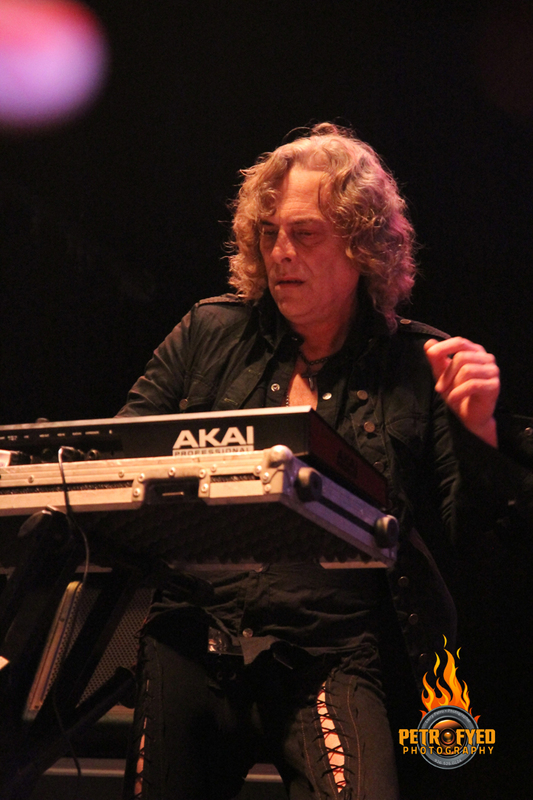 The band lit the place up as they paid the ultimate tribute to one of rock's greatest and most iconic singers ever in the form of Ronnie James Dio. 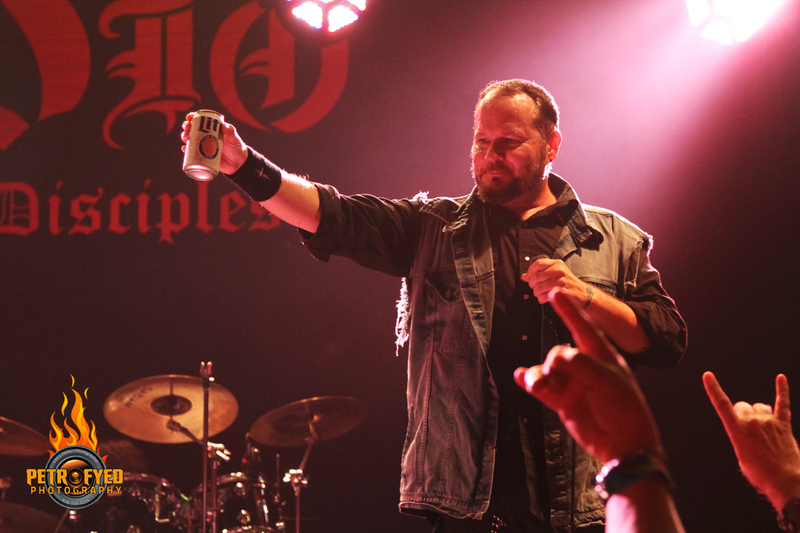 Launching their set with the DIO classic "Holy Diver", Ripper did a masterful job of channeling his inner Dio to the delight of the masses that had gathered on this evening. 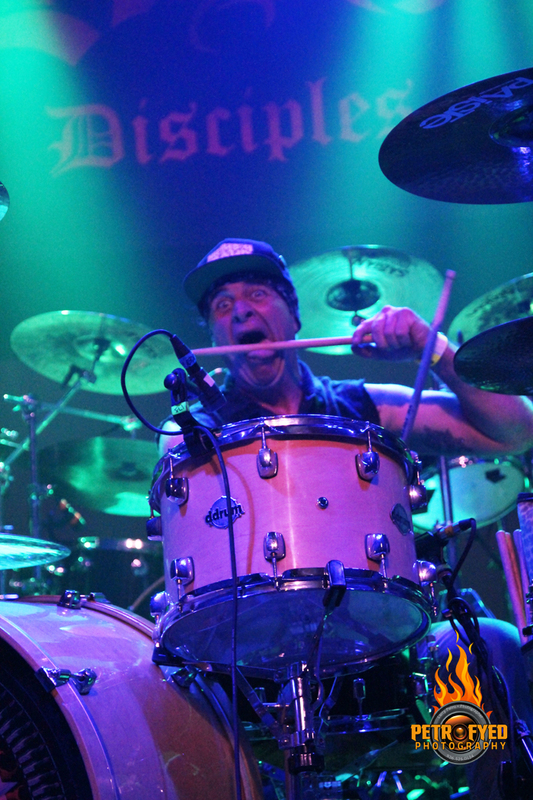 And while you can't lose by playing all the Dio-inspired hits that nearly every other tribute band plays, it was quite refreshing to hear a set rife with deep cuts that you've probably never heard live before. 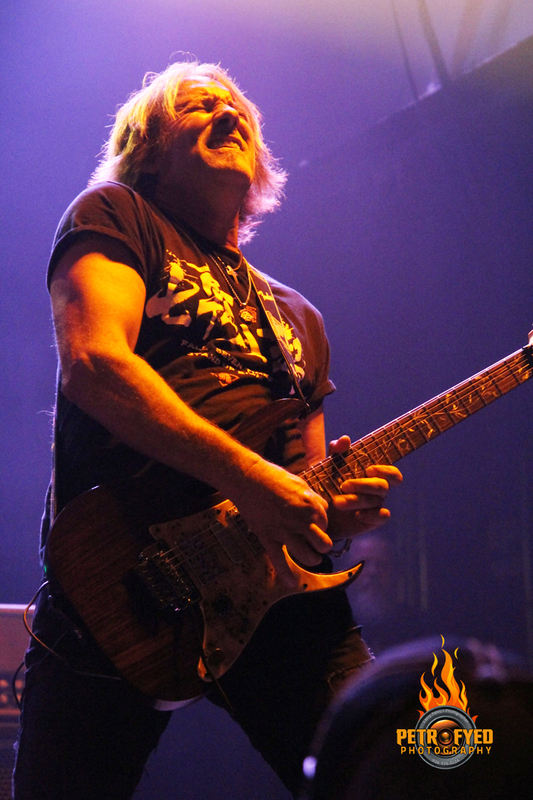 Sure, songs like Stand Up And Shout", "The Last In Line", "Heaven And Hell" and "Long Live Rock N Roll" were played but it was tracks like "Tarot Woman", "Catch The Rainbow", "Stargazer" and "Falling Off The Edge Of The World" that made this performance worlds apart from other tributes. The band was tight, the music was grand and the company in attendance was nothing short of memorable. What else could you ask for? 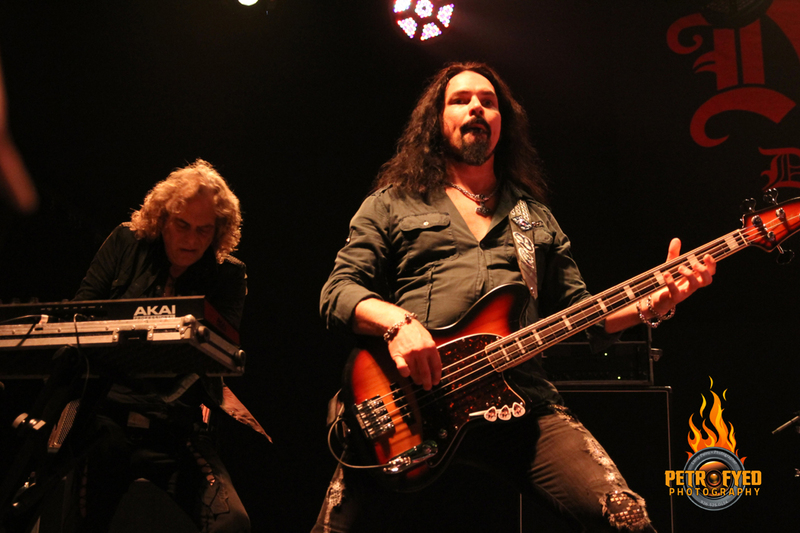 It gets even better as it has been revealed that the members of DIO DISCIPLES have inked a deal with BMG for the release of a debut album of all original material! Yes indeed, it most certainly does get better! 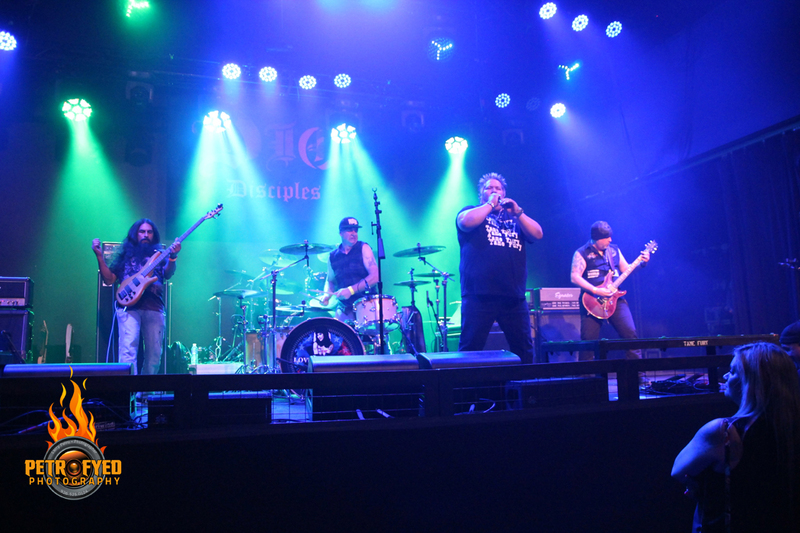 The DISCIPLES also have some shows booked for August so be sure and catch the show if it comes near you! "Egypt (The Chains Are On)"